With trims, skirting, cove formers and capping strips, bevel edges, ramp trims and expansion joints; the ‘floorwise pvc profiles skirtings & trims’ collection is made to bring long-lasting performance in demanding commercial environments. Manufactured from high-grade PVC, the premium quality collection is available in a range of purposeful colours designed to provide fitters with a solution for every imaginable requirement, including sit-on and set-in skirting variants and combined cover former and capping strips. 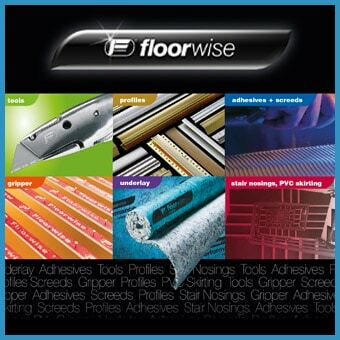 Richard Bailey, manging director, floorwise, comments: “Our range of PVC Profiles, Skirting & Trims is made to provide installers with a reliable, high-quality array capable of taking on all installation requirements. Joining heavy-duty aluminium stair nosing, the PVC collection is presented in a useful sample folder, ‘floorwise stairnosings PVC profiles skirtings & trims’, which features samples of all options, specifications and the colour options available. A great reference for any contractor or installer looking to make a fast decision on the correct profile for the application at hand, the folder is available from floorwise distributors across UK and Ireland.